Cyprus-based Cobalt Air, which launched operations in July 2016, has announced plans to launch a service between Larnaca and Moscow before the end of this year. CEO Andrew Madar shared the plans with Russian Aviation Insider, but did not reveal which of Moscow’s three airports the carrier has chosen. 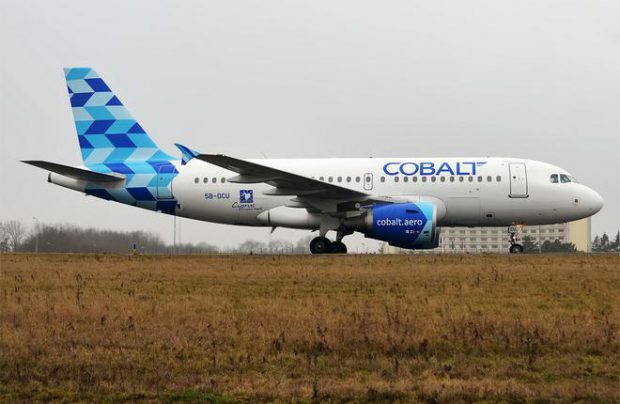 Cobalt Air initially intended to launch the service in the summer but failed to complete all the formalities on time, Madar said. He noted however that Moscow is a very important destination for his airline because it generates traffic all year round, unlike other, highly seasonal places. This is because there are many Russians residing on Cyprus, and the two countries also have “historic ties”, he explained. Additionally, the Cypriot carrier expects to generate some transit traffic from Moscow to fill its flights on to Tel Aviv and Beirut. Madar also confirmed the airline’s interest in St. Petersburg as a possible destination, but only from next year as the airline is currently lacking capacity to launch the route. No other Russian cities appear to be appealing enough to the carrier. Cobalt Air was founded in 2015, following the collapse of the country’s national carrier Cyprus Airways. It has a vague link with Russia, as one of the figures behind the airline’s development is Andrew Pyne, formerly a senior manager of long-since-deceased Russian LCC Avianova. Cobalt Air operates a fleet of six Airbus A320 family aircraft to 16 destinations outside Cyprus. There are currently two more airlines active in Cyprus: the regional carrier Tus Airways and Charlie Airlines, which is involved in medium-haul services. The latter was created with a contribution from Vladislav Filyov, co-owner of Russia’s S7 Airlines. Charlie operates under the Cyprus Airways brand name. Madar dismisses the above two opeators as any serious competition to Cobalt Air. Cyprus Airways does fliy from Larnaca to St. Petersburg, but on the more crowded route to Moscow Cobalt would have to compete with several major Russian carriers: Aeroflot, its sister company Pobeda Airlines, S7, Ural Airlines, and VIM Airlines.